Are you bored with your English, and worried that you’re not learning as much as you could? 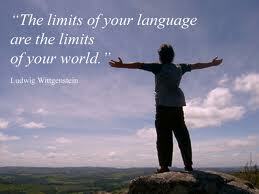 Do you wish English were more applicable to YOUR LIFE and the things you really LOVE TO DO? What if I told you there was an amazing way to learn English effectively AND have fun while improving your life in the process? Here at RealLife English, we call this Lifestyle English, and we believe this is the most effective path to true, lifelong fluency. Whatever your level or method, if you are learning English (all non-native English speakers), you can benefit more and more from new opportunities to use, practice, and improve your English with habits that are fun, natural, and convenient. For this objective, will not find a more complete resource than RealLife English. If you really take this advice to heart and decide to do this, it will revolutionize your English and open the door to your own personal fresh new vision of English. Your English will never be the same, and neither will you. Here are my top 5 suggestions for how to implement Lifestyle English into your daily routines. These are free, downloadable audio programs you can put on your ipod, mobile phone or anything that has an MP3 player. You can listen to the daily news, programs for learning English (ESL), or anything else you’re interested in. The “podshere” is vast and there are no limits to the quantity and quality of material. To maximize your time management and make a daily habit out of it, I recommend listening in your car (or on the bus, walking). RealLife Radio is an excellent weekly podcast created by us here at RealLife English to help you learn. 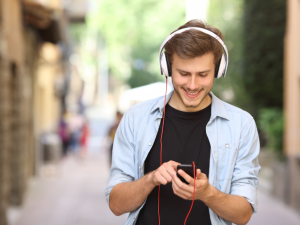 ESL PODCASTS are podcasts designed for people learning English. To find them, you need to search “ESL podcasts” because searching for “English Podcasts” will give you many podcasts that are in English, not necessarily to learn English. I highly recommend the Real Life English podcast! Podcasts Made for Native English Speakers: The world of native English speaking podcasts is vast and fascinating, and you can listen to the news, cool cultural programs, interviews with your favorite musicians, or just about any topic you can imagine for self-help, professional development, or ANYTHING. Discover NPR’s American News Portal: NPR has the biggest and best selection of American podcasts I’ve ever seen. This site is a world in itself. Their music section has an “artist” directory with a HUGE supply of interviews and content on just about any world-renowned artist you can think of. Bob Dylan has 68 podcasts here (and a lot of them have written transcripts). ITUNES IS A FREE downloadable program and the best podcast directory out there. You can download it for free here. HINT* To get a more complete offering of the podcasts in English, go down to the bottom of the page in the “itunes store” and change the country to the U.S. or another English speaking country. On the front page of the podcast section of the itunes store, you will see a list of the most popular podcasts in the U.S. Learn how to find podcasts on itunes here. If you have android, you can download Stitcher. 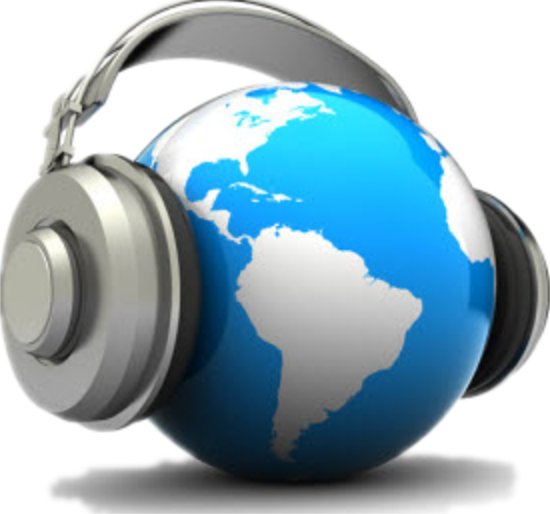 Did you know that with an internet connection you can listen to live radio direct from nearly anyplace in the world? Just the other day I was listening live to 107.7, The End, my favorite station from Seattle, Washington, U.S.A., the station that started the whole grunge-rock movement from the early 90’s. And last week I showed a friend of mine the tune-in radio app for his iphone and he was AMAZED by some of the blues stations he found. He hasn’t stopped listening to it, and if you find some cool stations, you will impress people at parties. Here are some tips. TUNEIN RADIO is my favorite: Check out Tunein Radio here. You can put it on your iphone/ ipad or any mobile device that has android. It also works with windows. WHEN & WHERE TO LISTEN: Listen in your car, at home while you cook, while you get dressed in the morning. Any relaxed space of time. Creating convenient and painless spaces of time for daily habits is key! You’ve probably heard this a million times, but this is an awesome way to learn. If you can change the language and put subtitles in English on your TV, that could work. But in my opinion, it’s a lot better, easier and more motivating to have the DVDs available. Friends = Fluency: The program “Friends” is a great option. Honestly, there seems to be a correlation between people who LOVE friends and high levels of fluency. Why is this the case? Friends represents a whole generation, the characters all likeable, it’s hilarious funny, a great gauge for American Culture, and there are 10 seasons (250+ episodes)! I have a hypothesis that a basic level English student could become fluent in 1 year by watching 1 episode per day for the whole year (complementing a study routine). Other Good Programs I recommend are “How I Met Your Mother,” “Lost,” “Two and a Half Men,” “The Big Bang Theory,” or “Grey’s Anatomy.” Honestly, the most important thing is that YOU ENJOY IT. More Suggestions. Movies are Good, But…. Movies are a good option too, but my problem with movies is that they are so long and it’s really difficult to form daily habits watching movies. This is a part of English speaking culture that everybody participates in and few people take advantage of. It’s everywhere in Brazil. In my case, learning Portuguese, I remember learning to sing along to the Legião Urbana song “Pais e Filhos” before I even spoke Portuguese. It’s Okay Not to Understand:I’m a native English speaker and I don’t understand half the lyrics out there. It’s natural. Just print the lyrics out. One extremely fluent Real Life English community member posted the follow (see photo to the left) describing his difficulty. If You Have an iPod or iPhone, add the lyrics to the song. You can read as you listen to the song. It’s easy to do and it’s really quite useful on long trips: Here’s a video tutorial on how to do this. NPR Music Programs are an excellent option for music fans. It’s a perfect balance of dialogue, music and culture. Connect your passion to learn English with your passion for music. If You Are a Musician, this is a whole different set of skills that can help you learn the language (a keen ability to listen and distinguish sounds, imitate vocal frequencies and intonations, and I’m pretty sure music does some crazy stuff to the brain. Here’s an article on How Music Can Make You Fluent. There are excellent opportunities to use your English with international communities that already exist here in BH, and online as well. RealLife English is an Excellent Start: I know I’m biased, but If you haven’t joined the community, this is the best place to start. It’s free, it’s open to speakers of all levels, and we have an international social network with thousands of members that promotes the use of English, AND RealLife English Twitter almost 100 thousand followers. Feel free to ask questions, post English articles, and participate. Couchsurfing is an international social network for travelers focused on stimulating community, relationships, and cultural exchange. Foreigners that come to BH can get in touch with you on your profile and you can open yourself up to either (1) a cup of coffee, (2) to show them the city, or (3) offer them a place to stay. You can see who the other person is based upon their profile and the recommendations on they’ve received. Read More About How to Use Couchsurfing to Practice English. Now that you’ve read the list of just a few suggestions, I’m going to give you a piece of well-intentioned advice: OPEN YOUR EYES. If you didn’t already know it, English is all around you. Finish this article and give yourself 5 minutes on Google and you’ll be surprised at what’s out there. Start paying attention to the songs you hear, the TV shows that you like, the options you already have under your nose. Just get curious and see what happens. The second piece of advice: DEVELOP DAILY HABITS. If you do something every day, not only will you learn much more quickly, but the act of doing it gets easier and easier exactly because it becomes an automatic habit. It’s like brushing your teeth or taking a shower. You’re so used to doing it that you feel bad when you don’t do it. And keep in mind that to be great at anything, you have to do it EVERY SINGLE DAY (or at least 5 or 6 days per week). Why would English be any different? But to do it every day does not mean you have to study it. The Gifted Few that already “get it” (they understand that English, in its essence, is not something you study, but something you integrate into who you are) are racing ahead with their English in a way that people merely “studying it” can never grasp. They are using it to dive head first into their dreams and interests. They absorb it like sponges, connect it with their interests, careers and Facebook status’ to an international world that is here and now and available for anybody who wants to open their eyes to it. It’s a part of their day. They can’t live without it. They won’t ever forget because it’s who they are, and it’s the doorway to who they are becoming. What We Assume:We all know a few English learners who are REALLY fluent, and we all struggle to understand how they do it. We look at them and are blown away at how natural they make it look. We all attribute their fluency to either natural talent, hard work, or the school they went to. How They Really Do It: If you ask the super-fluent speakers how they did it, their answer is simple: CONNECT YOUR LEARNING TO YOUR LIFE, TO YOUR PASSION, TO YOUR INTERESTS. To be excellent at something, you need to do it every day and do it with enthusiasm. No school or monthly payment will do this for you. With globalization, the internet, and the surge of Western pop-culture (for the better or worse), including TV shows (sitcoms), Hollywood movies, and music, Brazil is already swimming in a world of English. Dive in! Beyond the obvious, there is a HUGE amount of “ESL” or “English as a Second Language” blogs, podcasts and other resources to learn English for those who know how to find them. This is how we can help. Just Do It:With a little bit of guidance, inspiration and proactivity, you can start creating small, daily pieces of “English for Life immersion” that will revolutionize your learning process. And Real Life English is here to help. If you enjoyed this article please let us know what you think! Take a second to COMMENT below. Excellent, well written piece my praise to you Mr Murray. This is a behemoth of a resource for learning English. Now if only it was in Portuguese! You did an excellent job Justin Murray! To do something with passion is necessary to make it as a habit in your life buiding it up daily. And there's nothing else better to keep yourself motivated than to see the positive results of your own work! Amazing, I downloaded TUNEIN for my iPod and it's brilliant! Rodolfo, I’m glad you liked the article! Tunein is AWESOME! Now just find a few good stations (what kind of music do you like?) and insert them into convenient spaces of time each day to form painless habits– When you’re taking a shower, cooking, getting ready in the morning. Such habits are painless, stressless, but will bring really help build lasting fluency over the months and years! For android users have one option tunewiki, for music and lyrics. It’s a pleasure to help. I’m glad you found the article helpful. I think we both know that practice makes perfect.. the best thing you can do is accept that you have to make mistakes all along the way, and have fun! Take care! English is already part of my life then ! completely helpful! just what I was looking for! thanks a lot. Amazing article on how much improve our lerning English successfully! I love it! This brought me a super enthusiasm! Awesome tips! Thanks a lot! Receive a big hug! Your strategies of learning English are so powerful and make me got more confident and encouragement to learn and keep practicing English :). Thanks for your nice comment Sangdao! I’m glad it’s helpful for you. Many more to come! Really Useful congrats guy you´re the best! for sure *-*´. Hey JJ, Thanks for your nice comment. I’m glad it was helpful. oh guys, you just make it looks easier than it is, you have given us the key for a better English learning. thanks a lot. cheers for you. Amazing Ideas to learn English!!! Hey Regis, I’m glad it was helpful! too join it. Is there anyone else having the same RSS problems? I can’t express how I feel more confident after I’ve read this article. You guys are rock, and now I know that I can get fluency. I live in BH and I haven’t heard about the “Real Life English Events” yet, but I’ve just join the Facebook community and make sure I’ll be at the next event. I’m in love with this community. Thank you very much for everything helpful you’ve been offering us. That’s awesome, Géro. I’m sure you’re seeing huge progress so quickly. Thanks for reading and keep up the good work! Nice work! it was really helpful, keep it up! Hey Kelly, I really appreciate your nice words. I’m glad we’re creating something useful for you. Have a great day. I have tried for years many courses, and this is for far the best way to learn, I advanced in weeks what I did in years in another courses. Thanks a lot. Thanks guys, for the article. Excellent tips. Five months ago I started a new way to learn English with an aproach very similar to that in this article: more natural and pleasant, keeping in touch with material that I really like. And I feel getting results. You will, certainly, help me in this path. Aww Yeah, Ricardo! Keep up the good work and thanks for sharing with us. Take care.